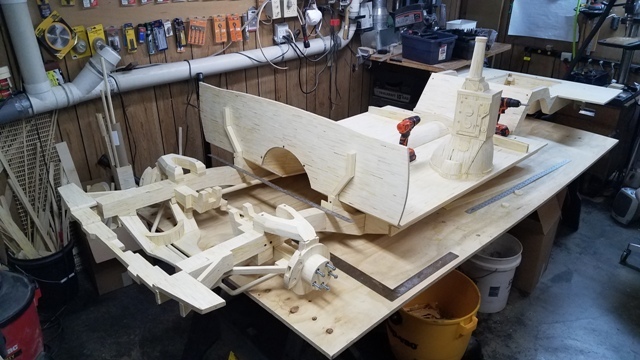 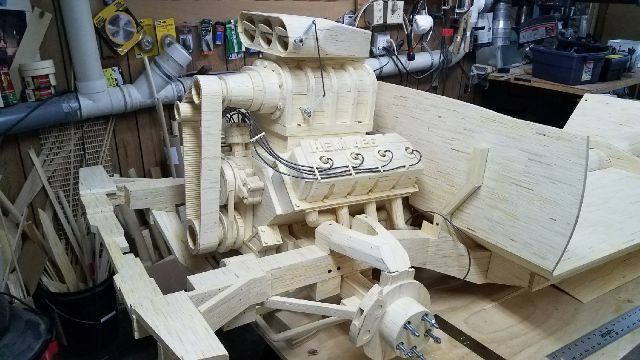 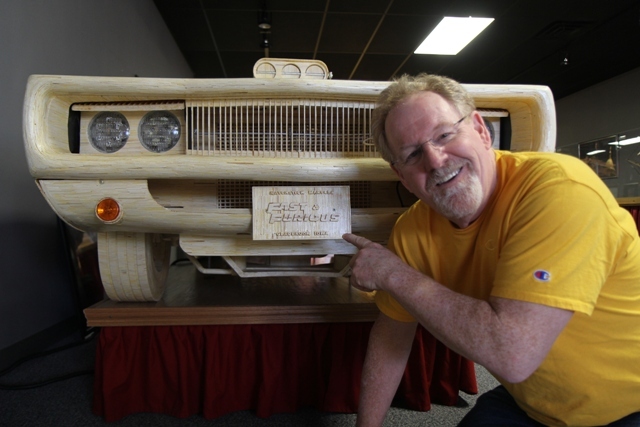 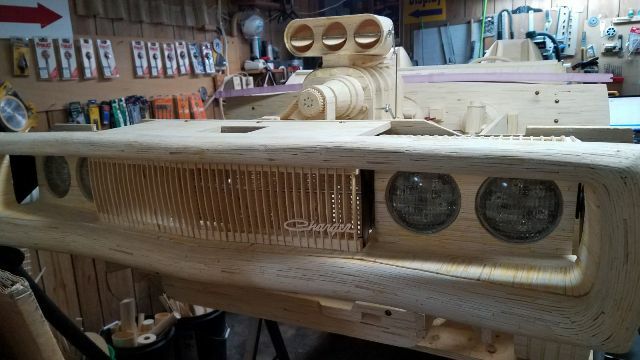 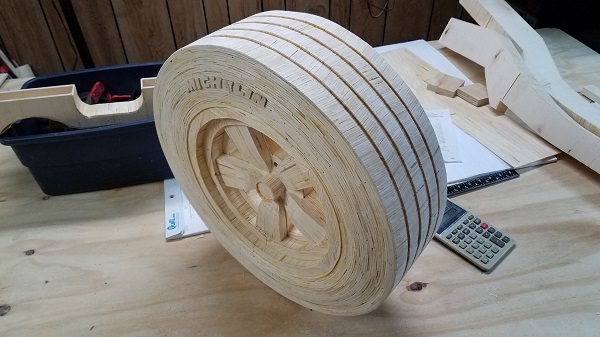 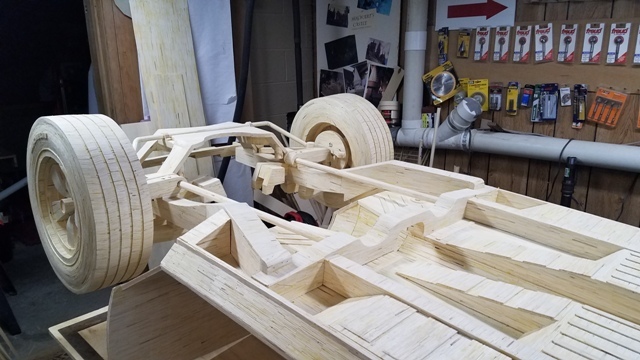 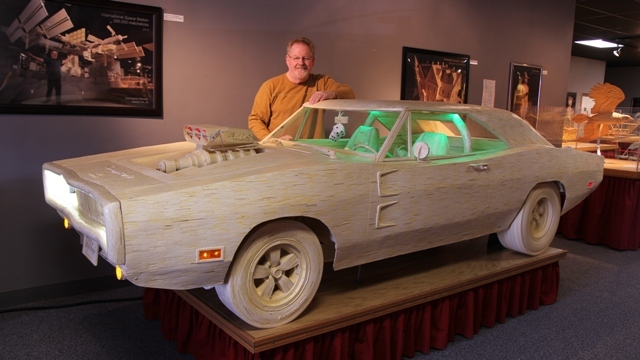 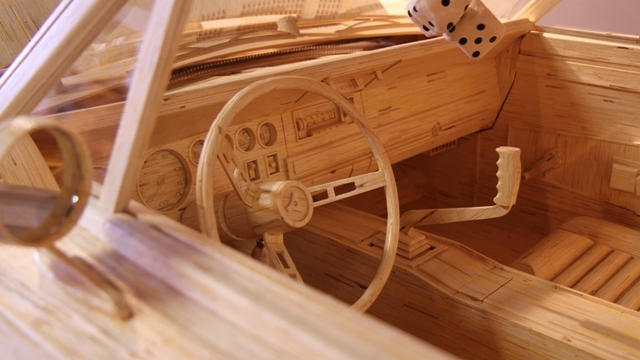 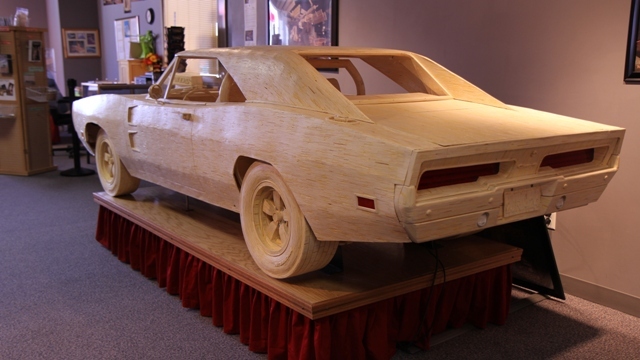 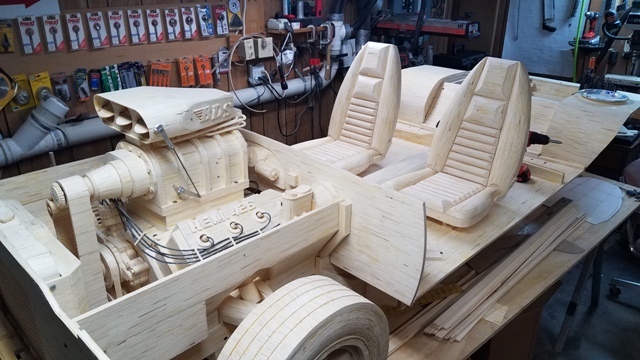 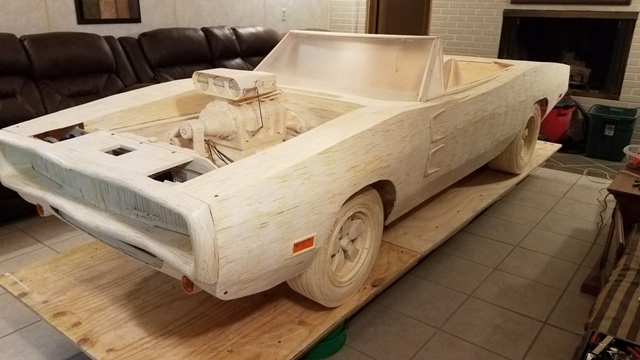 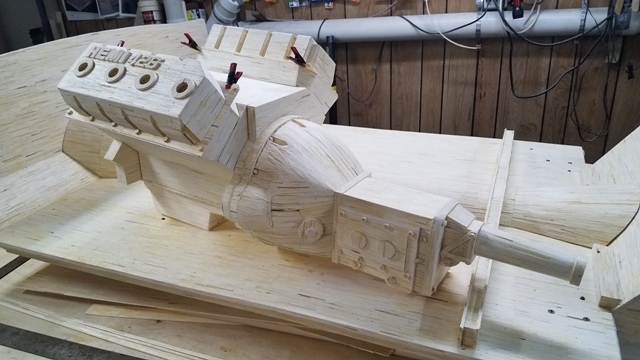 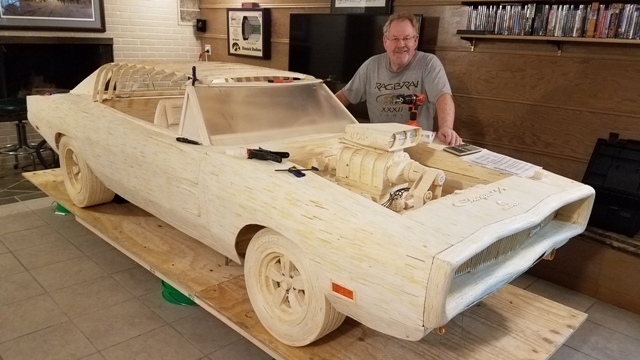 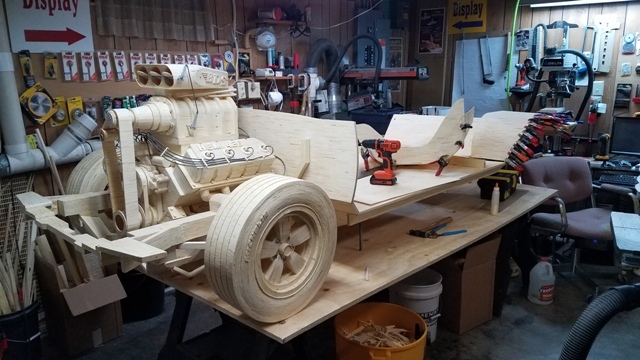 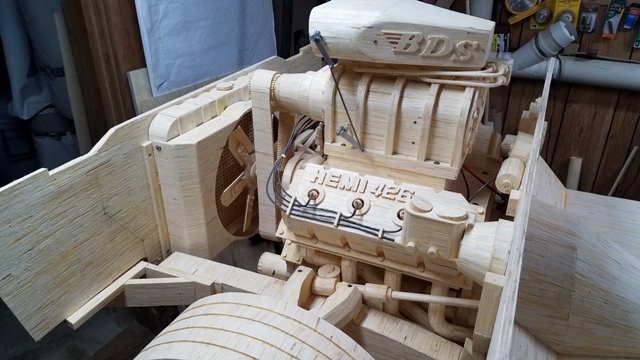 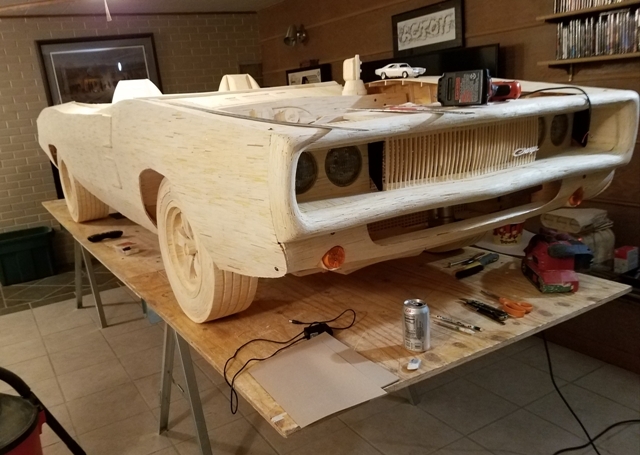 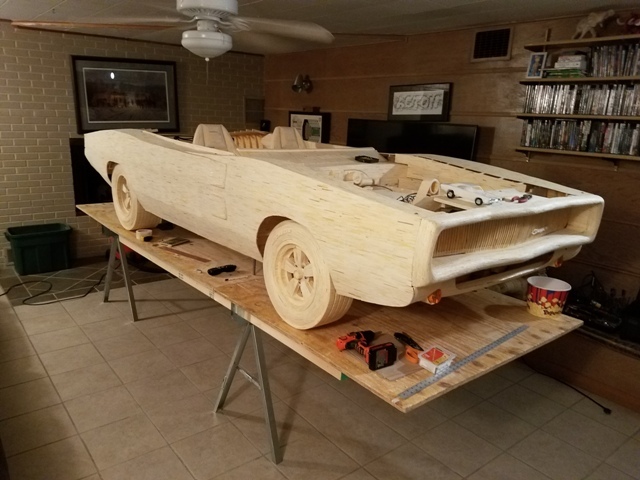 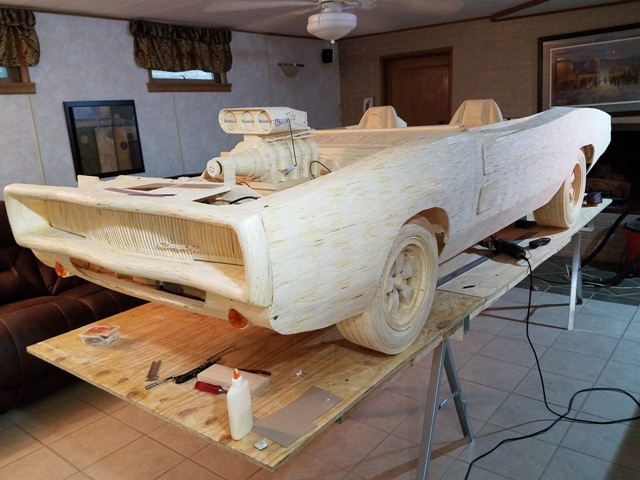 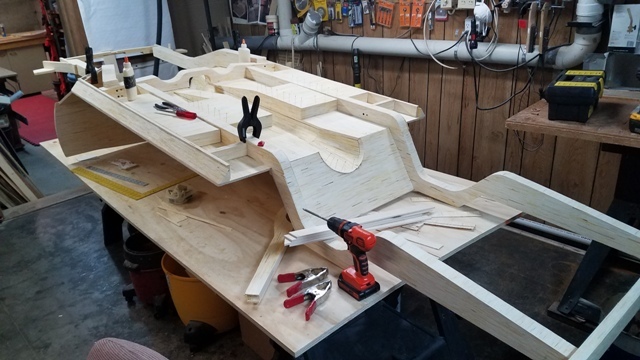 Acton began work on the 2/3-size scale model of the iconic Fast & Furious Dodge Charger in July 2017 as commissioned by Ripley’s Believe It or Not. 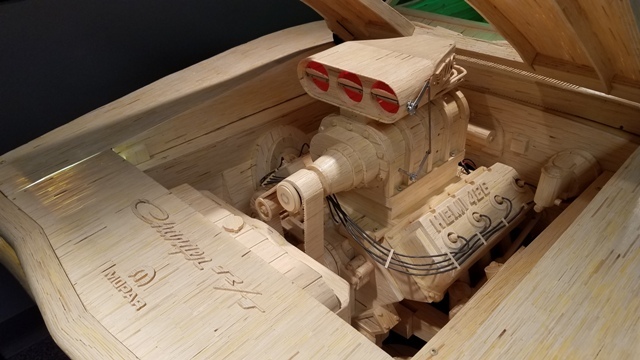 The model contains 720,000 matchsticks and took 3000 hours to completion in December 2018. 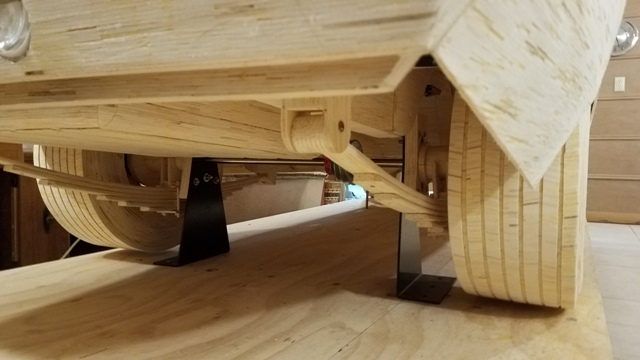 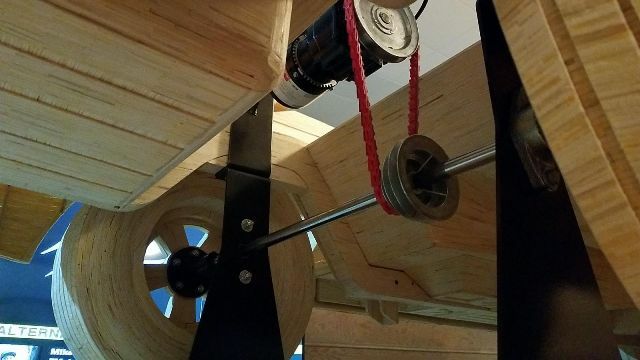 The exacting detail of its components including interior, exterior, and drive train, set this model apart from all the other models Acton has constructed. 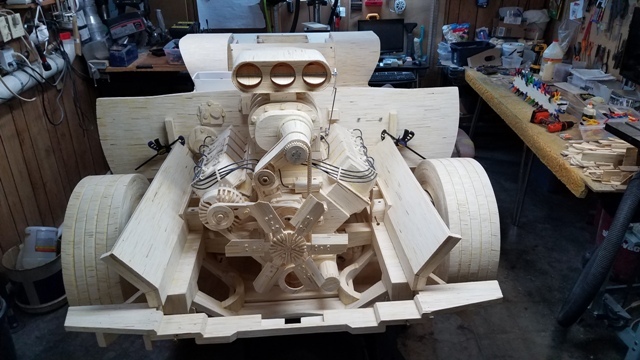 The car’s animated features include lights, sound, opening and closing engine hood and headlight covers, blower motor, blower butterfly valves, and rotating wheels. 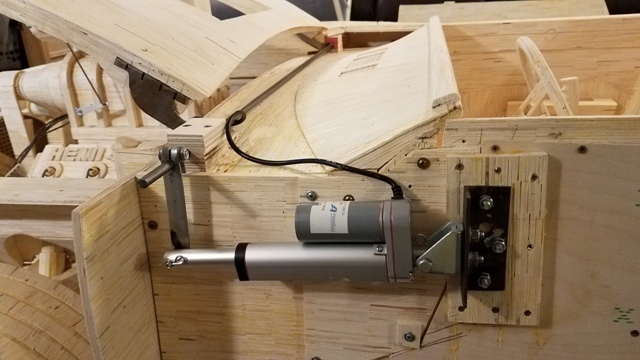 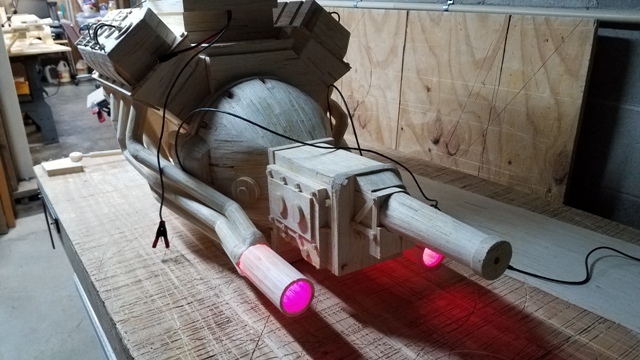 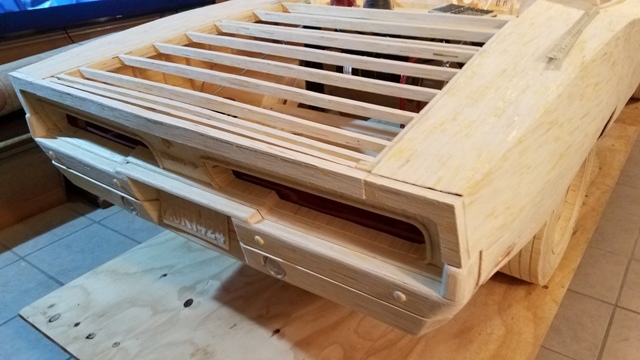 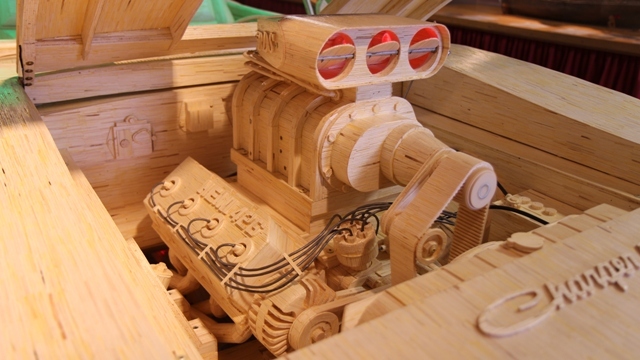 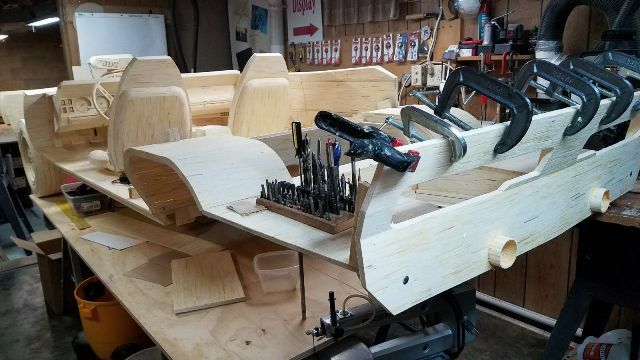 The partially completed computer board that activates the automated features was designed by Ripley technicians and will be enhanced to incorporate all moving parts including the moving hood and headlight covers once finished. 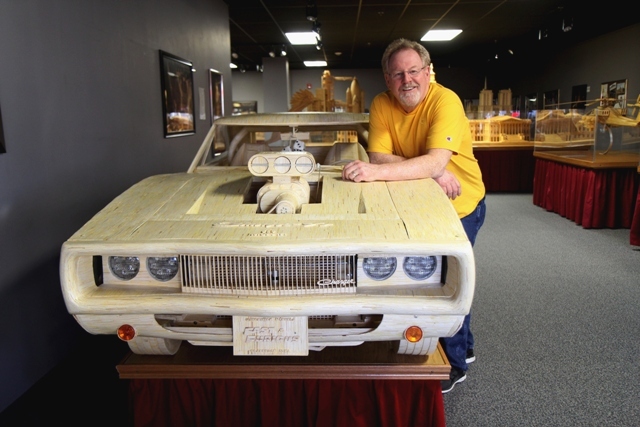 1970’s muscle cars continue to be cherished by enthusiasts. 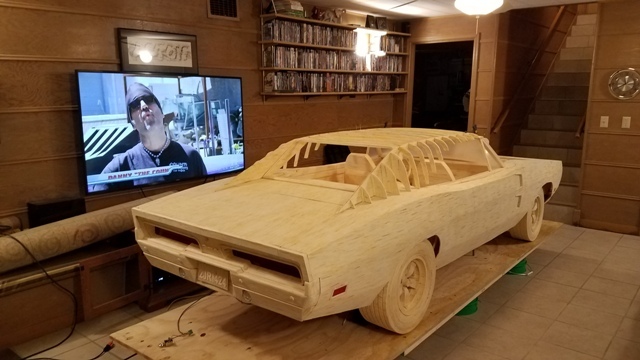 The fully-blown Dodge Charger championed in the original film has now become synonymous with Fast & Furious movies. 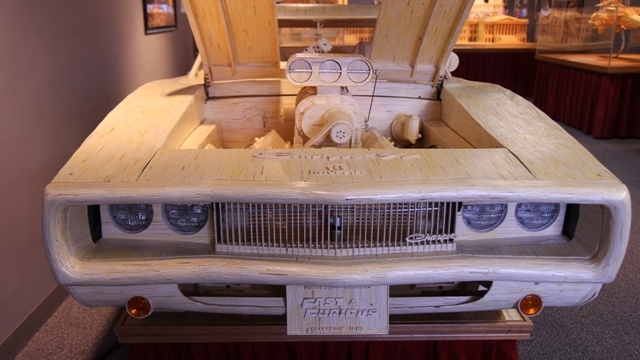 It is for this reason that Ripley’s Believe It or Not commissioned the model from Matchstick Marvels.